As many who stop by here know, there is pending legal and legislative action related to craft beer in a number of states. Some of these efforts involve antiquated growler policies or inept selling restrictions. And let's not forget the efforts to slow Anheuser-Busch in Kentucky and Idaho. Here in Oregon there are two pieces of legislation in the pipeline. There hasn't been any significant reporting on these proposed measures that I'm aware of. That's largely because the current session of the Legislature only convened on Feb. 2. Everything is pretty new. The first and most significant bill is SB 138, which would remove the current self-distribution limit imposed on brewpubs. Today, the limit is 5,000 barrels/year, which means brewpubs can sell direct to wholesale accounts up to that number. The limit was 10,000 barrels in the original Brewpub Bill, passed in 1985, and it has bounced around over the years. If passed, SB 138 would essentially rewrite a portion of the existing brewpub law (ORS.471.200). The principal sponsors are Art Larrance (Cascade Brewing), Rogue Brewing and McMenamins. If you dial up the working text of the bill, you'll see the sponsors have simply italicized that portion of the existing law that they want changed. They have not entered a new suggested limit. In fact, these guys would like to see the self-distribution cap removed entirely. That's the way it works if you have a brewery license in Oregon. You can brew and self-distribute all you want. SB 138 would give brewpubs the same privilege if the cap is removed. By the way, it's the brewery law has allowed Anheuser-Busch to buy and operate distributors here. Food for thought. I've been copied on a few of the emails that are circulating leading up to a hearing scheduled for this Wednesday in Salem. There will be quite a few hearings, I suspect. Besides upping the barrel limit, the sponsors hope to get some additional stipulations built into the language of the law. First, they want the eventual barrel limit (assuming it isn't unlimited) to apply only to beer sold to customers outside their own systems. For example, McMenamins could brew all or most of its beer in one gigantic brewery and distribute as much as it wants to its own pubs. But it could only sell up to the statutory limit to outside establishments. Second, only barrels sold in Oregon would count against the limit. Beer self-distributed elsewhere wouldn't count. The motive behind the legislation is sketchy. OLCC stats (through November) show that an overwhelming majority of Oregon brewpubs will sell less than 5K barrels in the state for 2014. Only the top 20 or so will exceed the cap. Rogue and McMenamins, which have a lot of pubs, might benefit via a higher cap. Cascade (Barrel House and Raccoon Lodge) is well down the list and doesn't appear to be in a position to benefit. Unless there's something we don't know. Removing the barrel limit or making it very high could lead to the creation of a network or networks of tied-houses around the state. Large brewers could own pubs where only their brands would be sold...a lot like the good old days before Prohibition. That kind of arrangement is precisely what the three-tier system was designed to prevent. But some brewers don't like distributors and wish to clip their wings. That appears to be the main thrust of this bill. I'm not sure attention spans allow for it, but everyone needs to understand what's going on here. Since 1985, brewpubs have been able to operate outside the three-tier system by self-distributing to build their brand. Once they exceed the barrel cap, they're required to sign with a distributor and rejoin the three-tier system. The intent of SB 138 is to alter the conditions under which that happens. Oregon's Beer and Wine Distributors haven't yet weighed in. My guess is they'll put up a pretty good stink when they do. Why? Because SB 138, particularly if the eventual cap were unlimited or very high, might threaten their business. The state's larger brewpubs could decide to brew and self-distribute massive quantities of beer, taking distributors out of the profit loop. 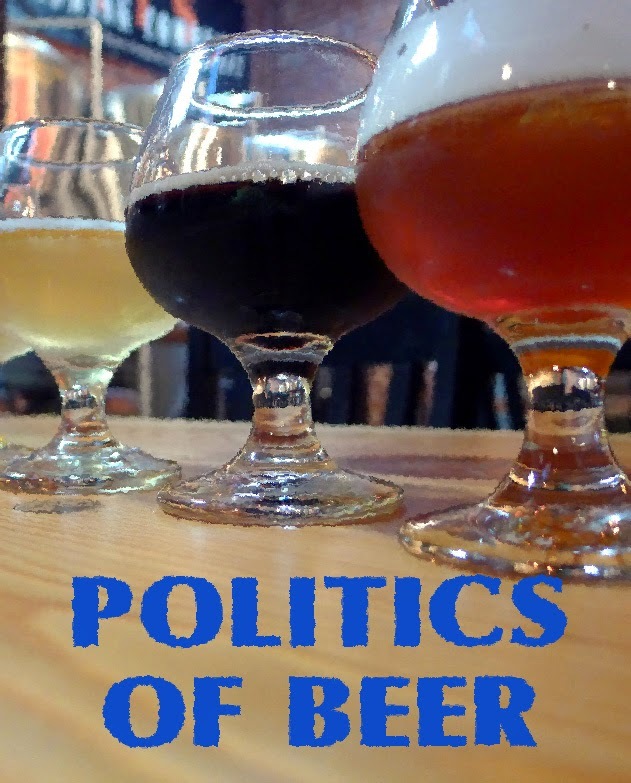 As for brewers, the Oregon Brewers Guild is staying neutral on this bill. Why? Because they typically support legislation only when they think it will benefit all members. When they aren't sure or if they know a bill will benefit only some of their members, they stay neutral. Clearly, they know the score with SB 138: it will benefit only the few. Will the barrel limit be removed? Probably not. The beer distributors have the power to block that. Will it be raised? Quite possibly. Even though the current limit only impacts the state's largest brewpubs, raising it to the original 10K barrels could happen. It might even go higher. The politicians and lobbyists have some serious negotiating to do. In the next day or so, I'll get to the second piece of proposed legislation.